Game Of Thrones is about to be the only thing you hear about for a few months before the series officially comes to a close. Already, the hype has bubbled to an all-time high with fans of the program counting down the hours until the first episode of the final season premieres. Only a few days are left and people have been rewatching the trailers over and over again while imagining what everybody's fate will be. HBO has partnered with several major brands to roll out GoT themed food, dropping collaborations with Mountain Dew and Oreo. Now, you'll be able to eat some delicious Shake Shack items that somehow are connected to the Thrones universe because according to NY Daily News, there is a secret GoT menu at the restaurant. If you're not located in New York City, don't get too excited because it would appear as though the secret menu is exclusive to the Shake Shack in the Flatiron District at Madison Square Park. The selection of items is not vast - in fact, it only includes two Game of Thrones themed products - but it's still better than no secret menu at all. 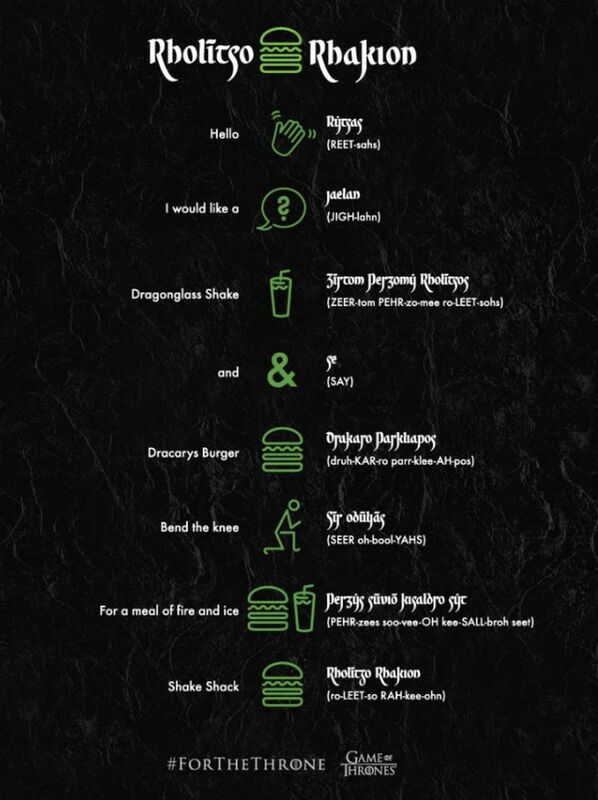 Ahead of the Season 8 premiere, Shake Shack introduced the Dragonglass Shake and the Dracarys Burger. 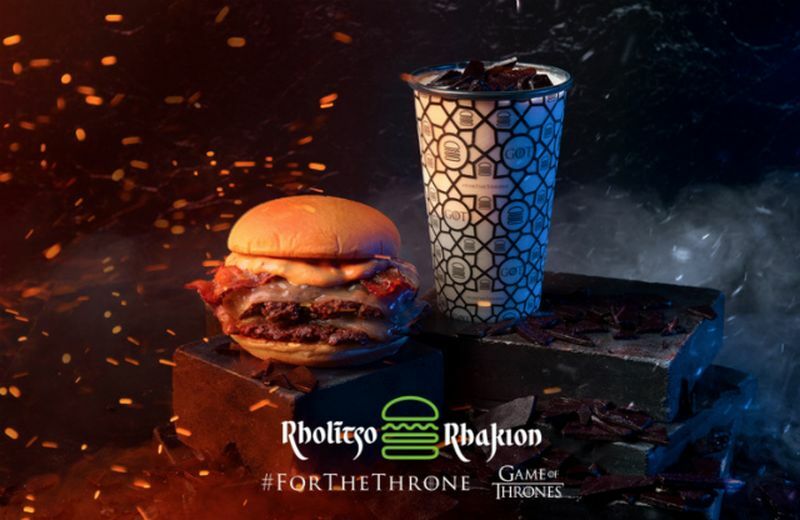 The exclusive items are only available for a limited time with the burger featuring bacon "imported from Essos—a Dothraki delicacy," and the shake being topped with "shards of Dragonglass imported from the caves of Dragonstone." If you simply ask for the items by name though, you will be met with confusion. You must order in Valyrian. If not, you won't get your food. The burger is available until April 21 and the shake until May 19.